Many men killed in the trenches were buried almost where they fell. If a trench subsided, or new trenches or dugouts were needed, large numbers of decomposing bodies would be found just below the surface. These corpses, as well as the food scraps that littered the trenches, attracted rats. One pair of rats can produce 880 offspring in a year and so the trenches were soon swarming with them. Robert Graves remarked in his book, Goodbye to All That: "Rats came up from the canal, fed on the plentiful corpses, and multiplied exceedingly. While I stayed here with the Welch. a new officer joined the company and, in token of welcome, was given a dug-out containing a spring-bed. When he turned in that night he heard a scuffling, shone his torch on the bed, and found two rats on his blanket tussling for the possession of a severed hand." George Coppard gave another reason why the rats were so large: "There was no proper system of waste disposal in trench life. Empty tins of all kinds were flung away over the top on both sides of the trench. Millions of tins were thus available for all the rats in France and Belgium in hundreds of miles of trenches. During brief moments of quiet at night, one could hear a continuous rattle of tins moving against each other. The rats were turning them over." Some of these rats grew extremely large. Harry Patch claimed that "there were rats as big as cats". Another soldier wrote: "The rats were huge. They were so big they would eat a wounded man if he couldn't defend himself." These rats became very bold and would attempt to take food from the pockets of sleeping men. Two or three rats would always be found on a dead body. They usually went for the eyes first and then they burrowed their way right into the corpse. One soldier described finding a group of dead bodies while on patrol: "I saw some rats running from under the dead men's greatcoats, enormous rats, fat with human flesh. My heart pounded as we edged towards one of the bodies. His helmet had rolled off. The man displayed a grimacing face, stripped of flesh; the skull bare, the eyes devoured and from the yawning mouth leapt a rat." (2) Richard Beasley, interviewed in 1993. If you left your food the rats would soon grab it. Those rats were fearless. Sometimes we would shoot the filthy swines. But you would be put on a charge for wasting ammo, if the sergeant caught you. (3) James Lovegrave, interviewed in 1993. (4) Frank Laird writing after the war. Sometimes the men amused themselves by baiting the ends of their rifles with pieces of bacon in order to have a shot at them at close quarters. (5) Captain Lionel Crouch wrote to his wife about life in the trenches in 1917. I can't sleep in my dugout, as it is over-run with rats. Pullman slept here one morning and woke up to find one sitting on his face. I can't face that, so I share Newbery's dug-out. 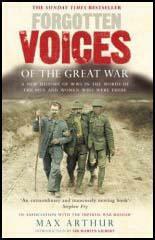 (6) After the war Stuart Dolden wrote an account of life in the trenches. (9) Major Walter Vignoles, Lancashire Fusiliers, interviewed after the war. In one of the dug-outs the other night, two men were smoking by the light of the candle, very quiet. All at once the candle moved and flickered. Looking up they saw a rat was dragging it away. Another day I saw a rat washing itself like a cat behind the candle. Some as big as rabbits. I was in the trench the other night and one jumped over the parapet. The dugouts in this part of the line were infested with rats. They would frequently walk over one when asleep. I was much troubled by them coming and licking the brilliantine off my hair; for this reason, I had to give up using grease on my head... flies were an absolute plague. Great big, fat, sodden, overfed, bloated brutes, bluebottles and large house flies. Most of them must have come from and lived on the dead. We were soon back in the trenches after that action. Our living conditions there were lousy, dirty and unsanitary - no matter what the weather was, whether it was hot or cold, rain or fine, you were in there for four days, and three nights. There were rats as big as cats, and if you had any leather equipment the damn things would gnaw at it. We had leather equipment - and they'd chew it. If you stood still long enough they'd chew your bootlaces.